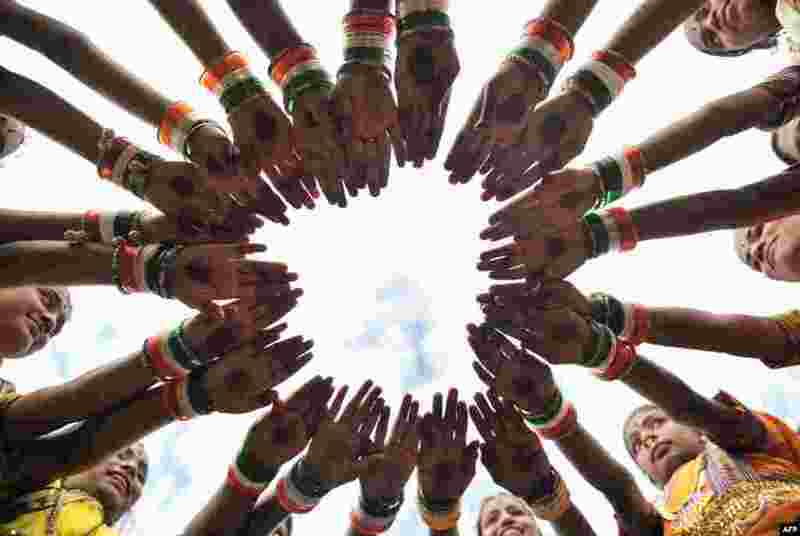 1 Indian girls wearing tricolor bangles practice during Independence Day celebrations in Secunderabad, the twin city of Hyderabad. 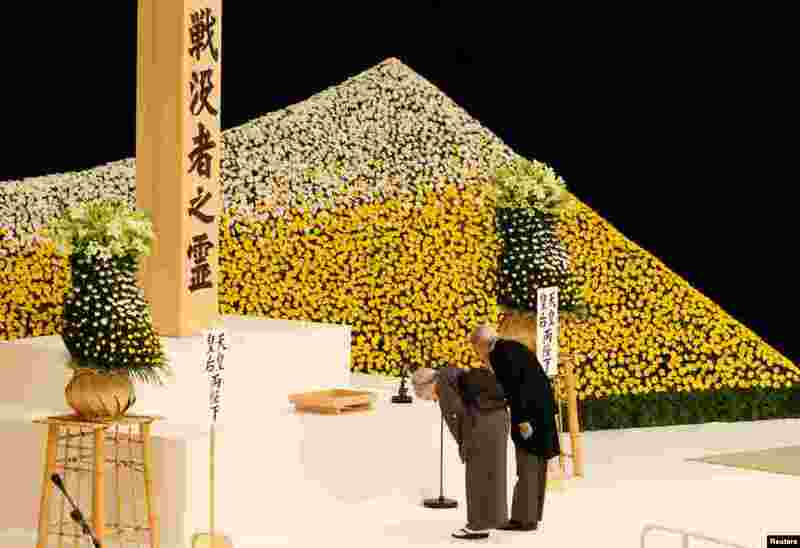 2 Japan's Emperor Akihito (R) and Empress Michiko bow at an altar for the war dead during a memorial ceremony marking the 72nd anniversary of Japan's surrender in World War II, at Budokan Hall in Tokyo. 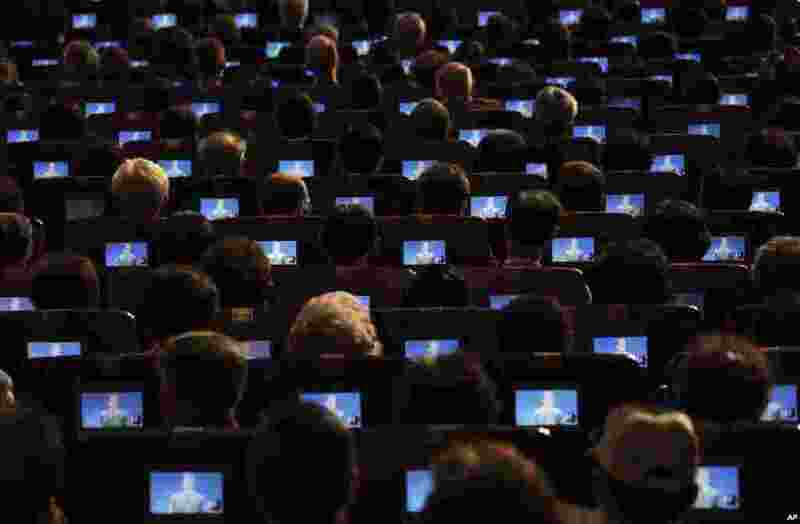 3 South Korean President Moon Jae-in is seen on small screens as participants listen to his speech during a ceremony to celebrate Korean Liberation Day at Seong Cultural Center in Seoul. 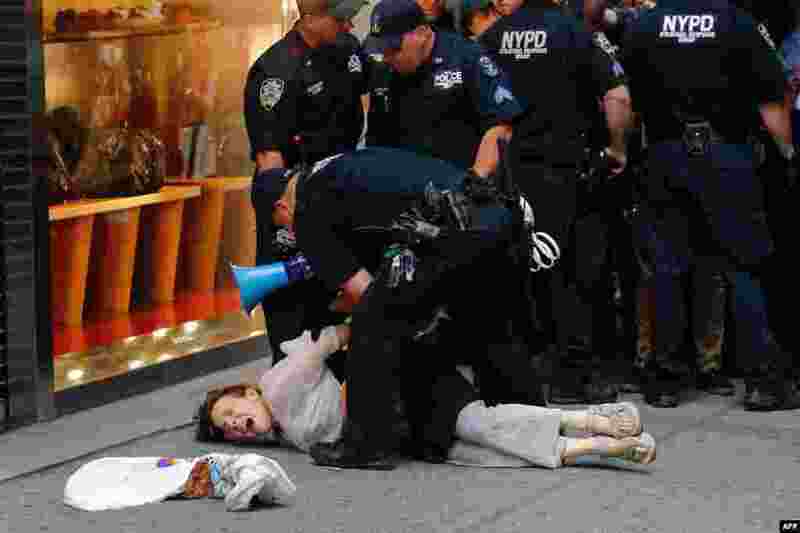 4 A woman is arrested by police near Trump Tower during a protest against U.S. President Donald Trump in New York, Aug. 14, 2017.